USPA NEWS - Season 2 of The Reader, a Cultural Program Broadcast on China's Nationwide TV Station CCTV-1, has triggered a Strong Response across the Country since its Launch, resonating deeply with the Show's Domestic and Foreign Audiences and bringing together a Large Audience of Viewers who are enthralled by the Stories that are read. "Life", the Theme of Episode 3, led the Shows Producer to reach out to Jane Goodall, a Famous British Ethologist, and Huang Hongxiang, a wildlife Conservation Worker, and bring them on to the Show to read from Stories that highlight the Wonders of Nature and the Animals that inhabit that Space. 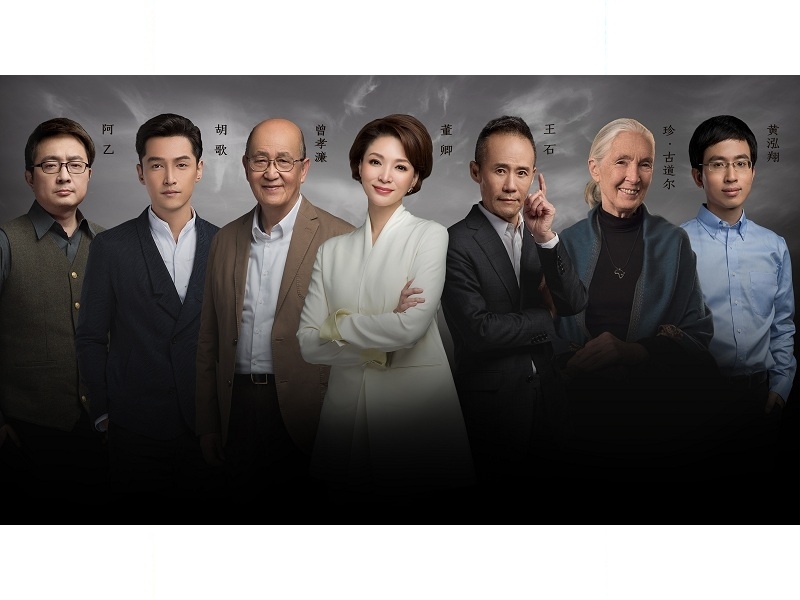 Season 2 of The Reader, a Cultural Program Broadcast on China's Nationwide TV Station CCTV-1, has triggered a Strong Response across the Country since its Launch, resonating deeply with the Show's Domestic and Foreign Audiences and bringing together a Large Audience of Viewers who are enthralled by the Stories that are read. "Life", the Theme of Episode 3, led the Shows Producer to reach out to Jane Goodall, a Famous British Ethologist, and Huang Hongxiang, a wildlife Conservation Worker, and bring them on to the Show to read from Stories that highlight the Wonders of Nature and the Animals that inhabit that Space. Mr. Huang has been engaged in Wildlife Conservation in Africa for many years, sharing his Feelings about "Life" through his Documentary Film "The Ivory Game." This Time, Renowned Zoologist Jane Goodall was invited by Huang Hongxiang to jointly read from Rachel Carson's most famous Book, Silent Spring. Through the Pairing up with Huang Hongxiang that allowed for an Experience that moved Beyond the Limitations set by Language and Geography, Ms. Goodall sang a Hymn dedicated to all Living Beings that are Part of what we call "Nature". Her Confident and Determined Rendering of the Story, although read in a Language that is not the Native Tongue of the Majority of the Audience - English, made the mostly Chinese Audience realize, at a Deep Emotional Level, that in addition to the Cognition of Human Life, there are Countless other Lives in the World that deserve the Same Attention. The Reading Experience had Great Significance for Huang Hongxiang, who said : "I never thought I would meet Jane Goodall, and then, One Day, there she was, standing in front of me." The Success of The Reader among Chinese Audiences has been Phenomenal. The many recently opened "Reading Pavilions", a Series of Mobile Events making their Way across China as a Result of the Success of the Program, has immediately drawn the Attention of the Local Citizenry and become a Focus of the Local Media whenever they have made a Stop. Soon after the First Episode was broadcast, similar Reading Events started popping up at a Local Level all over the Country. The Brand Benefits of the Program and its Role in promoting Traditional TV as an Important Media Channel, despite the Competition from the Internet, Mobile and Social Media, are worthy of Attention.